Posted: December 8th, 2013 under Contesting, Hamradio, Iota, Soundclips. This year I had planned to participate a bit more in the CQWW CW contest than I did. But I managed to put in some time, mainly to gather more LoTWconfirmations on 80M. I now have DXCC confirmed on 40M-6M on LoTW. 160M and 80M are the ones missing. On November 23rd in CQWW CW I worked the following DX on 80M CW: C6AKQ, ZF1A, D4C, VP5CW, KP2B, P40L and PJ4A. I also worked several stations from W and VE. On November 24th in CQWW CW I worked CR3E, PJ2T, CT3KN, HI3A, J73A, V31ZM, HK1NA, JT5DX, JA3YBK, BY5CD, 3V8BB, 4L0A and 4Z4DX. Some of these stations were surprisingly easy to work, others were tough. Though, I can't expect my low-hanging dipole to be a dx-antenna, I'm positively suprised at what I have managed to work. I also heard AH0BT, VK2DX, OA4SS and VP2MMM in the contest, but I didn't manage work any of those. 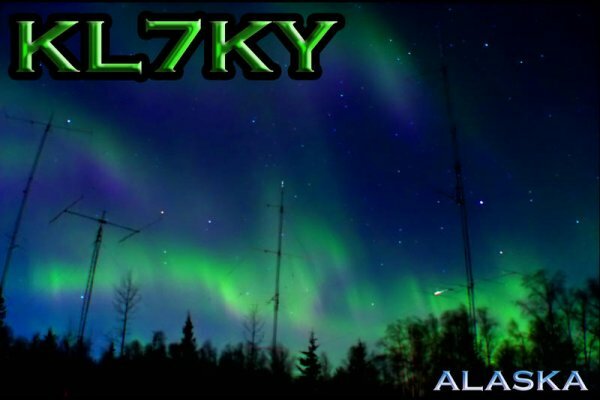 On November 28th Kevin KL7KY was spotted on 80M CW. I could hear him quite good. I fired up the amp and got him in the log for several new ones on 80M. He was a new zone, state and dxcc on 80M. 5W8A and FK8DD was worked on 40M CW. V73NS was worked on 40M CW for a new on 40M. ZM90DX was worked on 30M CW. J88HL was worked on 30M and 10M CW. On November 29th I worked VU7AG on 15M CW for a new one on 15M. J88HL was worked on 40M and 20M CW, 15M SSB and 12M RTTY. TU5NK was worked on 17M SSB. PJ2/VE7ACN was worked on 12M CW. VU7AG was worked on 80M CW. I had to work him twice, because he would not get my call correct. The signal was quite strong, and I was surprised to work him. On November 30th I worked FJ/DK7LX and FG5FR on 80M CW. Both were new on 80M. On December 1st I worked FJ/DK7LX on 15M CW for a new one on 15M. On December 3td I worked FJ/DK7LX on 10M CW for a new one on 15M. VU7AG was worked on 30M CW for a new one on 30 and #300 on 30M. That is my first band with #300 DXCC's worked. On December 5th I worked PJ7/G3TXF on 12M CW. OD5NJ/P was worked on 20M CW from AS-108 for a new iota. « DX, dx, dx… and even some 80M DX.